The Emotional Robots team has been quite this past year and a half due to contractual obligations. 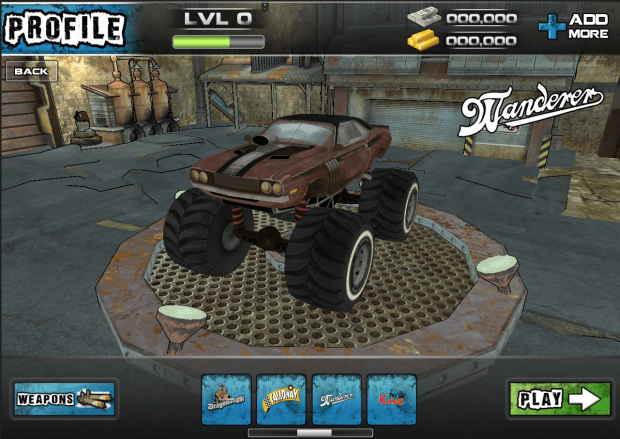 But we’re now back in action on our new game called “Maximum Overdrive” and we’re rolling full speed with production. 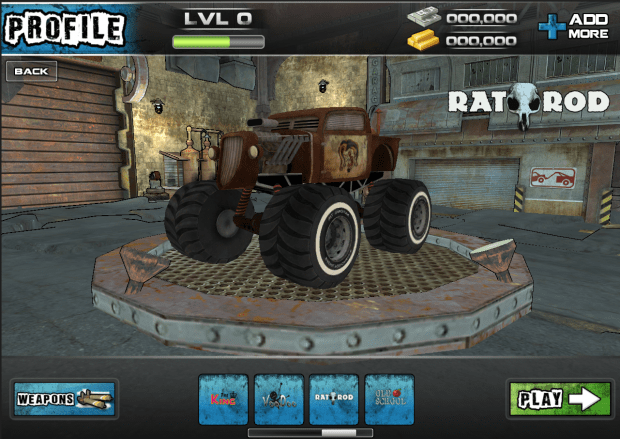 As you can tell from the screenshots below, it’s a Monster Truck combat game! 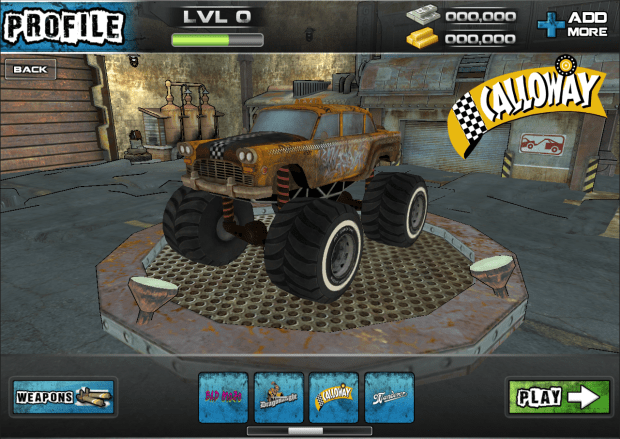 Similar to the setting of our previous two games “Warm Gun” and “Carnival of Bullets”, Maximum overdrive is set in a post-apocalyptic world. 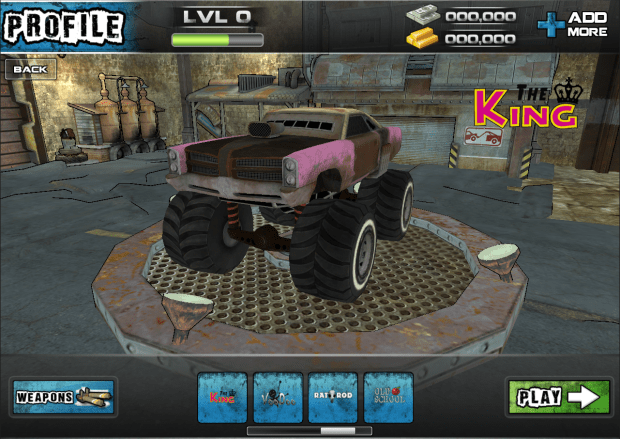 Players can choose from fifteen vehicles and an assortment of weapons to frag their opponents in either, online or offline mode. 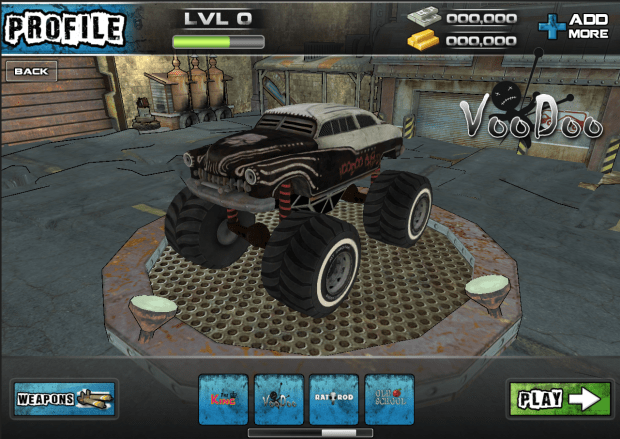 We will be active in pumping out daily updates, adding screenshots and video footage throughout the development of the game. 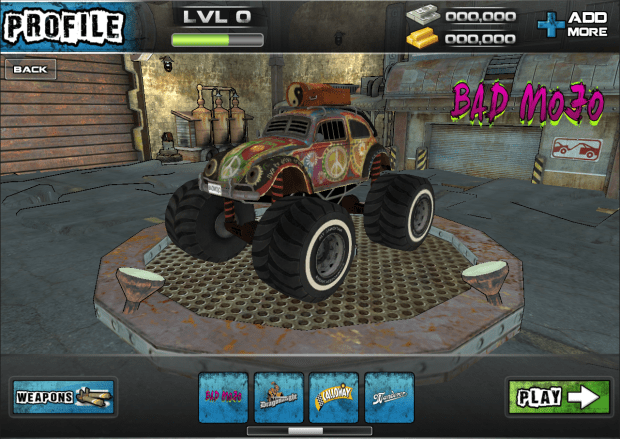 So please feel free to follow along and post your comments and suggestions as we aim to deliver this new title. Stay tuned for more info and lots of updates!